This combo pack contains two of Mag-Lites best. The 3-Cell D Mag-Lite® for when you need a lot of light and a Mini Maglite® AA for when you need less. Keep one at home and one in car. Both lights have an extra bulb in their tail caps. Both lights are black. Designed, engineered and made in the USA. 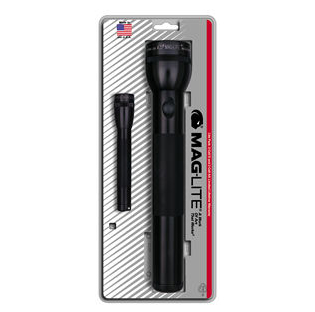 The 3-Cell D Mag-Lite® for when you need a lot of light and a Mini Maglite® AA for when you need less. Keep one at home and one in car. Both lights have an extra bulb in their tail caps.